How do I connect to FTP with SmartFTP? 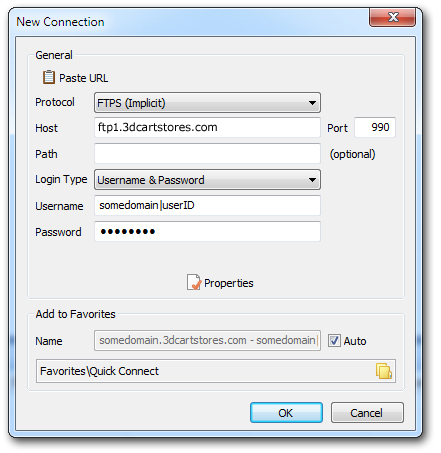 If you are using SmartFTP as your FTP client, the following instructions will help you connect it to your 3dcart store's FTP service. When connecting to FTP via FTPS (implicit) mode stated above, the FTP software will usually designate the Implicit port of 990. However, if you are unable to connect, try supplying 990 as the port and try again.